Since 1979, we have been offering high-quality preschool education that values the wonders of childhood, the power of caring families, and the contribution that gifted teachers can make to the learning process. Our curriculum is play-based and founded on the UK Early Years Foundation Stage curriculum. 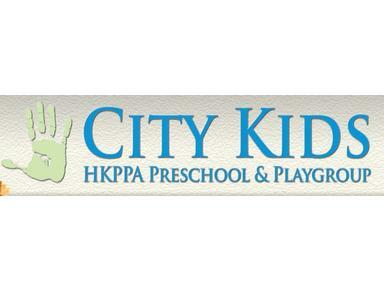 Our parent organisation is the Hong Kong Pre-schools Playgroup Association (HKPPA). Children ages 2.9- 6 years old attend our Preschool programme. Preschool runs five mornings a week. Children attend unaccompanied and are taught by qualified kindergarten teachers. We value low teacher-student ratios and have one teacher to a maximum of 15 students in a classroom. At the end of the programme, children are beginning to read and write, and, as such, are well prepared for primary school. Children ages 10 months- 3 attend our Playgroup programme. Children attend with an adult, normally for one or two sessions a week. At the end of the programme, children are prepared for 5-day Preschool. Children Aged 2 -3 years can join our afternoon super 2's program, this program is specifically designed as a briedgin program to the preschool, parent accompany the children at first, the children will then transition to coming alone.